When the Bahubali Part 1 The Beginning got released the movie won accolades internationally. It was a Hype in Telugu Cinema and Hope in other languages before the release. But, after the release the Hope and Hype became the History as you all know. Its more of eager to watch for many viewers for part 2 of the Bahubali series. The wait is finally going to over as the Conclusion is slated to release worldwide on April 28, 2017. So here are the 10 reasons I feel why the Part 2 Bahubali The Conclusion should be a must watch. 1. Bahubalian Years, An Inspiration to know about. 2. Define the term Dedication? Art has no form. In the Bahubali part 1 we did see the architecture of Mahishmathi Kingdom and glimpse of Kunthala Kingdom (Devasena).It’s interesting to see now how Art Director (Sabu Cyril) shows the architecture style of Mahishmati as well as Kunthala kingdom as there will be more emphasis on these kingdoms in the conclusion and both should be unique in own style. Bang on! M.M Keeravani music is always a melodious harmony. During the first part of Bahubali the audio review started with negative effect but became a tremendous hit later. The music is just not music, it’s more of situational and goes along with the story and so the BGM too. Did you remember the background music in the Part 1? Especially that particular scene where Bahubali helps the flock of people while lifting the heavy statue of Bhallaladeva. Instant goosebumps for that BGM(Listen the BGM below). When the movie is about mythology you tend to see the recitations of Hymns and at some instants you will also able to identify the idyllic phrases in the songs. The Music is not just cacophony but insane. I am so eagerly waiting to listen the BGM chords in part 2. Don’t you? Have you heard of a fictional book released after the release of the movie? At least I didn’t heard of this kind of scenario in Indian Cinema. Pitching the character of Sivagami by Ramya Krishna itself was a great sense of pride to her. The dynamics of her character speaks about her character in the Part 1of Bahubalii. But, when the Book in the name of The Rise of Sivagami is released on her, what more pride she can felt? The infinite pride movements? Noted Author (Claim to fame for his books Asura – The tale of vanquished, Ajaya – Roll of Dice, Ajaya - The Rise of Kali) is author for this book and the book is on the bestsellers stack. 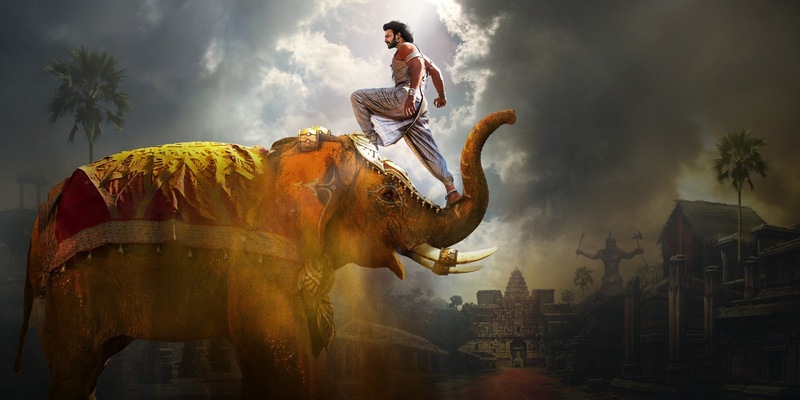 During the release of the Bahubali part 1 this is the biggest motion picture in India. When you look at the combination of part 1 and part 2 this one is the expensive movie made in India. Whopping of ~450 Crores were spent to make this Movie (200 crores for Bahubali part 1(The Beginning) and 250 crores for Bahubali part 2(The Conclusion). You sure expect the high in production values and magnificent sets for such kind of expensive file. When you are making such a periodic drama, there is no escape for you from Visual Effects. Some of the live action shots are manipulated to achieve the scope of the image with greater visualization. The best part sometimes is that you don’t even know which part of the scene is VFX and even though if you identify the scene to be VFX still the praise not goes down when such kind of grandeur film is made. 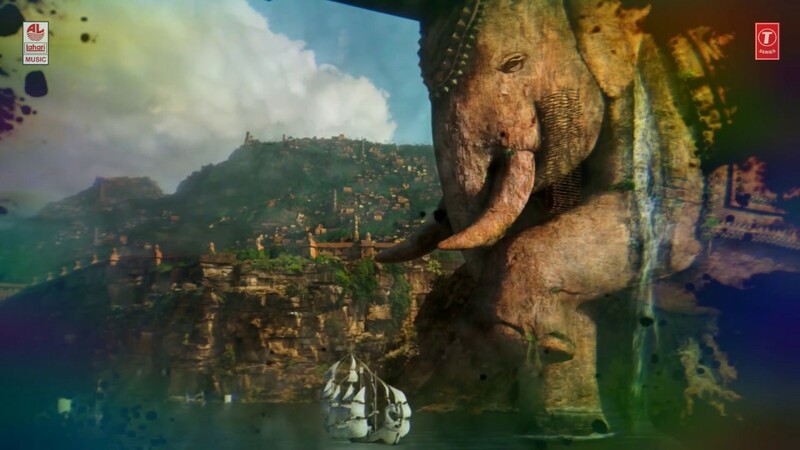 Around 36 VFX studios throughout the world took part in the VFX processing’s. 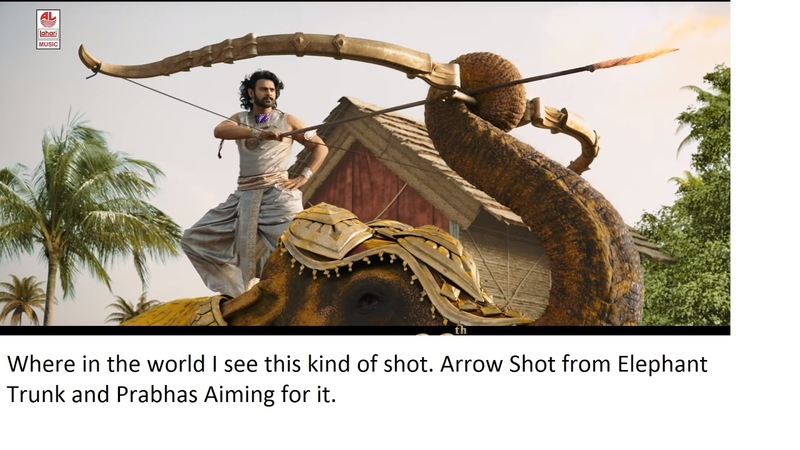 Almost 2226 shots were part of VFX related according to VFX Supervisor KamalKannan. Around 1000 technicians worked hard for 18 months on VFX. The Cinematography (From Senthil Kumar) is on par with VFX. Seriously, my anticipation factor is high here to see how the VFX part looks. 8. War Sequences of Course! We discussed about the VFX, Art, expensive film etc. Being said that this is also a fictional mythological drama, so you expect something more dynamic and thundering. Also the 45 minute war sequence in the Bahubali part 1 was spell bounding and impressive from the director S.S Rajamouli. You will have that looking forward and expectation enigma to find out how the war sequences in part 2 will look like. This seems to most favorite question for many. Why did Katappa Killed Bahubali? Whether you are in Classroom/Market/Salon/Office or even in political meetings this WHY about Kattapa killed Bahubali raised many times. We can get the answer in the Conclusion. No Bahubali 3 Please. 10. What more reason do you want if you are a movie freak? When you already knew that the Bahubali Beginning is a major success in box office and also Part 1 does connected to your heart, when the movie of such grandeur Bahubali – The conclusion is releasing after 2 years and being cinematic lover what more reason do you want to watch this film? With 5 more days to go for the release, this movie already cogitated me from past month (after the theatrical trailer release) with keen interest to watch. So tell me , what are the other reasons you may have(I missed here) if you want to watch this magnum opus Bahubali The Conclusion ? Please feel free to input your comments below the reasons you have.